Home / FAQs / FAQ: What do naturopathic doctors mean by identify and treat the root cause? 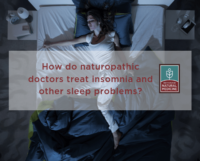 Naturopathic doctors distinguish symptoms from underlying root causes; symptoms express a body’s attempts to heal, similar to the way a car’s check engine light demonstrates an engine’s unresolved issues. NDs’ goal is to uncover and help heal the root causes of illness whenever possible. Trained to treat the whole person, NDs evaluate and treat multiple root causes, including diet, lifestyle, psycho-emotional issues and more. NDs may be a good fit for individuals who have struggled with unresolved symptoms for months or years. FAQ #19: What do naturopathic doctors mean by identify and treat the root cause? 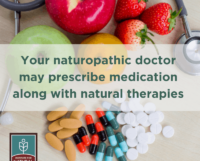 Naturopathic doctors (NDs) follow six guiding principles that influence how they think about medicine, how they make clinical decisions, and most importantly, how they treat you as a patient. Each principle plays a role in guiding naturopathic doctors through diagnosis and treatment. Identify and treat the root cause of illness is one of these six core principles. When it comes to illness, naturopathic doctors distinguish symptoms from underlying root causes. 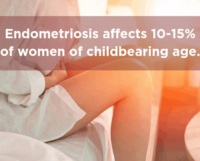 While symptoms are the body’s way of communicating problems, they are not the cause of illness. Symptoms express a body’s attempts to heal, similar to the way a car’s check engine light demonstrates an engine’s unresolved issues. Naturopathic doctors are trained to find and treat what’s “under the hood.” While they can and do provide relief from symptoms using natural approaches first whenever possible, their goal is to uncover and help heal the root causes of illness. In doing so, they facilitate the natural healing ability in patients, so that symptoms can be alleviated naturally. NDs believe that identifying and addressing the underlying root causes of disease whenever possible leads to the most positive and enduring health outcomes for patients. Multiple factors contribute to both health and illness, including: diet, lifestyle, genetics, psycho-emotional, spiritual, socioeconomic, environmental issues, and more. Trained to treat the whole person, licensed naturopathic doctors utilize the Therapeutic Order as a framework to help uncover, evaluate, and treat multiple obstacles to good health, which are also frequently root causes of illness. For example, NDs recognize that lifestyle choices are a central contributor to chronic disease. Among U.S. adults, 90 percent of Type 2 diabetes, 80 percent of cardiovascular disease, 70 percent of stroke, and 70 percent of colon cancer are potentially preventable by modifiable lifestyle changes. NDs’ rigorous training in areas such as clinical nutrition, lifestyle counseling, botanical medicine, and more makes them expert at prescribing and supporting essential, effective lifestyle modifications. While it is human nature to want a “quick fix,” achieving and maintaining good health takes time and work. To identify root causes of illness, NDs often spend one hour or more with patients in an initial appointment, compared to an average 20 minute appointment with a conventionally trained medical doctor. Because they focus on root causes, naturopathic doctors may be a good fit for individuals who have struggled with unresolved symptoms for months or years. Working together with a licensed naturopathic doctor can help you or your loved one determine the underlying cause(s) of your health concerns, and help you on your road to better health.